Have you ever walked past someone telling a story and you heard one sentence that was so compelling your feet stopped and you just had to hear what happened next? In a split second you were captured by the simple power of a story. Imagine using that force in your marketing in your brand’s identity. The simplest story instantly triggers the curiosity in all of us. It’s deep in our psychology. We find identification and meaning through stories. They add warmth, humanity, connection to any sales message in a second. With a story the customer can instantly identify with your business. Thinking in terms of a story naturally makes you a better salesperson. It forces you to understand the customer’s problems. You put less focus on your product features and more on how it will help solve customer problems. You deliver a more memorable experience. Perhaps most importantly of all, a good story greatly differentiates you from the competition. If you’re having trouble standing out, this might be your solution. We identify with individual people, not corporations. Why? Because we are individual people, not corporations. Your B2B customers are all individuals within the organization — always remember that. We want to grip the hearts and minds of those individuals. To do so, use an individual hero within your story. This could be your customer (the most common for good reason: It’s incredibly effective), an employee, a celebrity, your company’s founder, or even a story of an unrelated individual who inspires your company and what it stands for. Examples of B2B customer stories are everywhere. 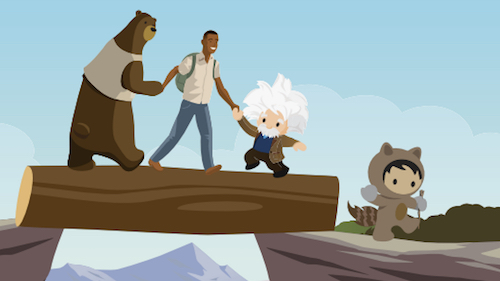 Salesforce and Kickstarter are terrific examples of companies that wrap a strong story around their customers, making the customer the hero, for other customers to identify with. If you’re not creating customers stories yet, you probably should be. GE provides a great example of story with an employee as the hero (through the eyes of the employees’ children, no less) to illustrate GE’s leadership in innovation. We’ve all seen Volvo’s story around celebrity, with Van Damme (if you haven’t, check it out). What does your B2B story need to be effective? Your B2B story just needs an individual wanting something, very badly —the stronger the want, the better. Then an obstacle to him or her getting what they want — the bigger and badder the obstacle, the better. Then action – massive action. You can also add emotion at every possible point. Every good customer story shows this struggle, with strong want, obstacle, and action. All the previous examples have it. The greatest illustration of these three components is often in the story of the company’s founder himself. 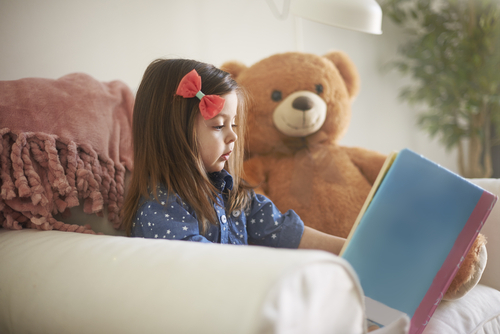 What can B2B learn from B2C storytelling? Something B2C companies often do exceedingly well is wrapping their brand around a powerful founder story. We rarely see this done effectively in B2B. But could we see more of it? Virgin is one B2C brand with many B2B branches, built around Richard Branson’s story and the struggle of the little guy offering quality, battling inept big brands. But we rarely see such founder stories in purely B2B companies. The most famous example from B2C of a founder story is, of course, Steve Jobs. His story is also the story of Apple. We know how much he struggled, trying to bring his very special vision and perfectionism to a messy world that didn’t understand. He was even fired from his own company, before fighting his way back in. We have strong want, huge obstacle and Steve certainly never stopped taking action. The result is a compelling story, which draws in millions. 1. Find a story based around an individual: A customer, an employee, your founder. Or perhaps a related story that inspired or inspires the message of your company. 2. Create three possible stories. Make sure that the want, obstacle and action are in alignment with your customers’ wants. Ideally, the obstacle should be something similar to what your customer is experiencing, to enhance identification. 3. In each story increase the want massively. Make it as big as possible, like Steve Jobs’. 4. Emphasize the obstacle as much as you possibly can. 5. Illustrate the massive action that was used, and is still being used today, to struggle against that obstacle. And show success on the other side. 6. Test each story — ask customers. Put your stories into some sales and marketing materials. See which one clicks. 7. Tell us how it went! What are your thoughts on the benefits of developing a story to enhance your B2B sales? I’d really like to hear your views. 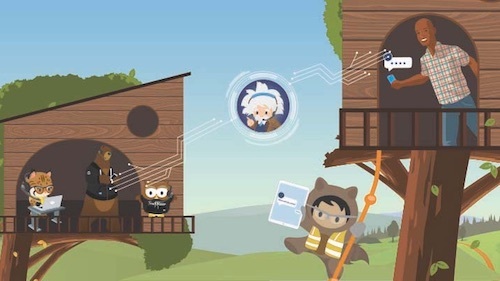 Donal Daly, one of the sales world's most prominent thought leaders, is now a Salesforce Sales Community contributor. This community is a new collaborative networking group for sales executives sharing best practices and innovations in sales leadership. We encourage all Salesforce customers to join Daly and other top sales thought leaders in the new Salesforce Sales Community. 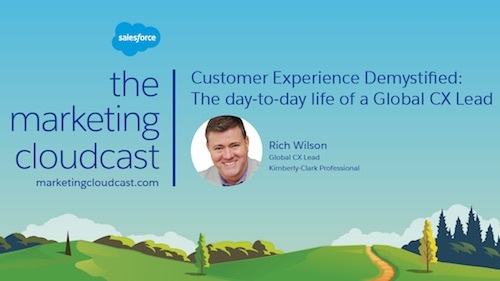 Author of Amazon #1 Best-Seller Account Planning in Salesforce, Donal Daly is CEO and Founder of (his fifth global business enterprise) The TAS Group, the global leader in Smart Sales Transformation. Combining his expertise in enterprise software applications, artificial intelligence, and sales methodology, he continues to revolutionize the sales effectiveness industry.